Book Monsters is generally all about the books, where would we be without books? We wouldn’t have such a great opportunity to escape into other worlds, to learn, to share, to improve our vocabulary and develop our imaginations!! In truth, where would be without authors? Or writers? We would be bookless!! Oh my!! So, we need fantastic organisations, projects and teachers to nurture writers and writing skills and our authors of the future. At Book Monsters HQ this week, I was fortunate enough to interact with two such writing inspirations! 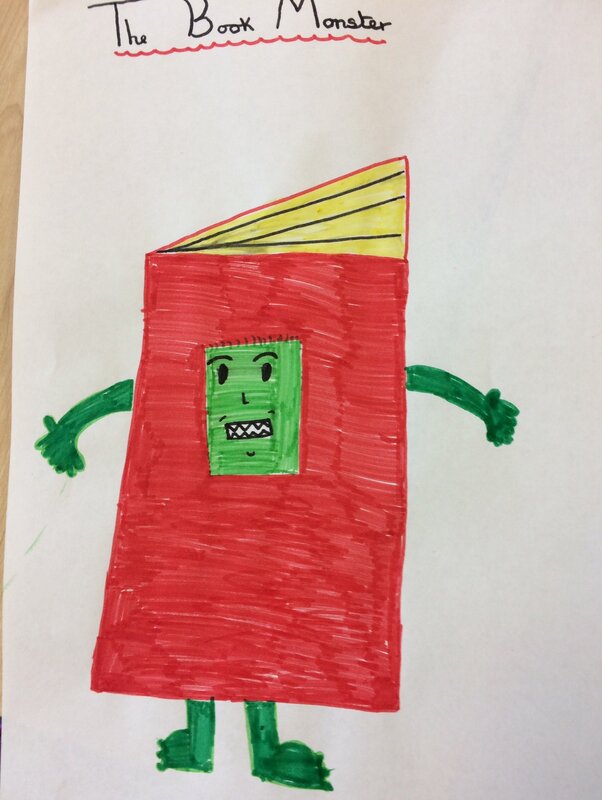 Firstly, on Twitter I was sent this gorgeous Book Monster illustration created by an Inkpots student! What a lovely thing to see appear on my Twitter feed! The power of a drawing or piece of writing to bring a big smile is immense! This was drawn by Hannah from Inkpots’ Lindfield Primary after school club. 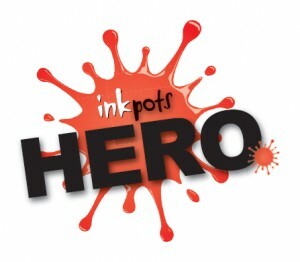 Inkpots is an organisation run by the wonderful Gill Pawley, a lady who I have been lucky enough to be talking to online for quite some time now. Gill runs workshops for children and young people, who either love reading, drawing and writing, but also to encourage those who don’t, or those who may fear it, fear their apparent lack of ability. The Inkpots tagline is “encouraging expression through words and pictures.” which is a fantastic ethos. Children are bursting with ideas and imagination but often lack the confidence to express this. Gill works with children in a creative and friendly way to bring out their confidence expressing ideas, be it through writing or illustration. It’s incredibly inspiring to see the work that Gill does. Not only does she run workshops in primary schools throughout mid sussex, but she provides, along with the help of her designer, fantastic activity sheets which can be purchased from her website, to support young writers and she’s now reaching out further with her new online club! Each month a new creative bundle will be released exclusively to club members, which will include a video message with writing ideas and book news, our own newsletter, guest interviews with authors and artists, help with editing and story development – and much more! And all children will have access to their own individual Inkpots page. Every single photo that I have seen of Inkpots groups in progress have contained grinning, happy children having a great time, and every illustration and piece of writing I have seen has been wonderful and creative. Gill’s work with Inkpots is inspiring, and with this she is nurturing some of our potential authors of the future, but at very least giving children the confidence to enjoy writing and drawing and have pride in their creations. The new online Club, Inkpots Inc, will launch in May 2017, so watch out for that, it’s sure to be something special! 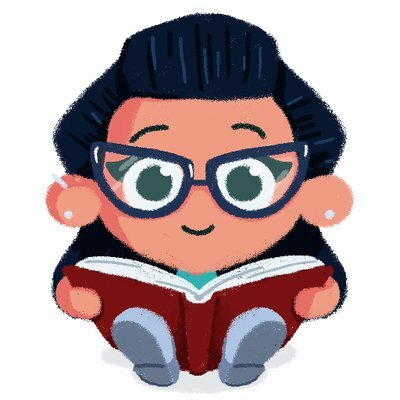 So, my next interaction which got me wanting to talk about writing today, was communication with the lovely Zoe Sadler Ink, an illustrator based on the Isle of Wight. I had never spoken to her, until she popped up on my Twitter feed one day with a gorgeous drawing of a book monster! 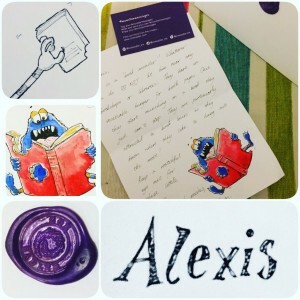 A bit of a chat ensued, and two days later, on my doorstep landed a handwritten letter, and the most gorgeous little book monster illustration! The letter was packaged so beautifully, time and care taken to make it a really special treat, which again, brought a big smile to my face! This is not just a random thing. Zoe has started a project to share good old fashioned snail mail. 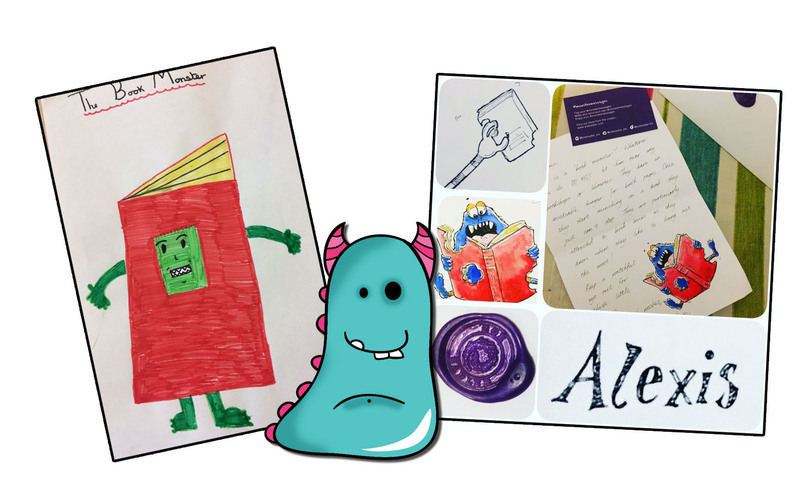 Zoe is sending out individual monster illustrations, with letters and encouraging receivers to do the same. It’s just a lovely, sweet idea. It’s getting people to write to each other, to share a little bit of artwork (or a simple doodle if you like) and link people together through snail mail joys. What a brilliant concept, and way to connect people and encourage communication and artistic expression. I will be sending out some of my own monster letters shortly, so if you do receive one, please post it on Twitter, Instagram or Facebook, tag @BookMonsterAlly in it, and include #monstermessages so other people can join in the fun. Teachers, why not get your classes involved. It doesn’t have to cost, you can encourage children to write letters to other class or school pupils, to save posting. Just get children communicating through writing and drawing in a non pressurised and fun way.